I say good Galldarn morning to ya'll because by the time you read this, it'll be morning. to which of course I caught a snyde remark reply, so I shot back. Simply stating that no one fights harder for my 4 legged kin (the Wolf) like I do. Same pretty much goes with the WolfPack. 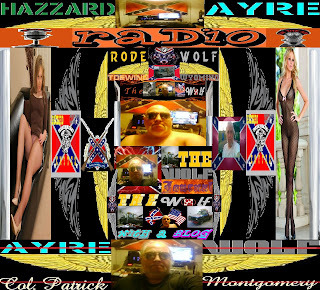 After all when the simple idea was initiated of harvesting wolves to protect ranchers stock, I said look around and make sure your not in my gun sights when your about to whack a wolf. If I see you first your just plain dead. No threat, that's a promise. If I ever see someone killing or about to kill a wolf in the wild for sport, I'll shoot who ever is about to do the shootin. 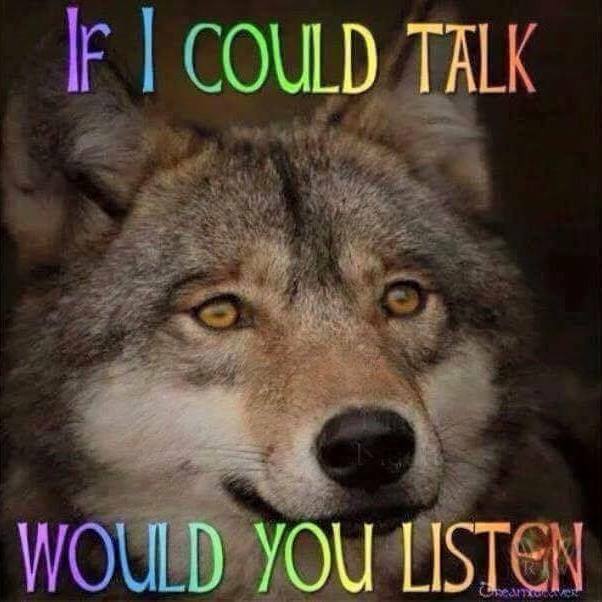 That pretty much silenced that room, but fact is No one has spent more money, went to more public meetings and am on the radio waves nightly as well as evenings in defense of our gray and dark wolves. 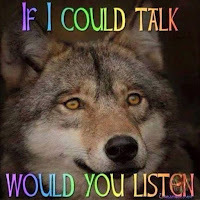 The fact is the gray's were never asked or coerced to coming down to Yellowstone park, they did not just jump in those stock trailers and be transported to that forest, so why the hell does man , now that repopulation has occurred feel a need to shoot defenseless wolves? Look you have a crooked President in Trump, that took the Wolf off the endangered species list, gave control to state Governments that are nearly as crooked, to control. Look humans your supposed to be more evolved, (although one has yet to prove to me that humans have evolved much) You as humans hauled the wolves here, now leave em the F***K alone. See ya'll later on the radio, one of the things we'll be talking about is the wolf situation, and we'll be discussing, just what day is the Sabbath Day? Sunday, or Saturday? Detour to the relocation to Hazzard. How do you erase a precious memory?